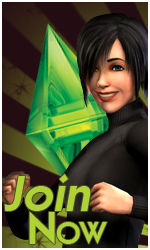 A Sims forum for all the simmers out there! Hi everyone! We've added a few stuff to the forum like the Points System for example. Just click on New PM. The thanks button will appear in a topic that you started, and you can click it once if you feel that the reply given by the member is the most relevant. Or if you have a question and has been answered by a member, make sure to click the Thanks button on his/her post. It's easy to add Friends and Foes. Click a persons profile then later click on Add to my Friends list or Add to my Foes list. Statistics also has been added to your profiles. Cool... i like the new changes! But what can you actually do with the points? I think you can join certain usergroups with them? » What's your favourite Sims 2 neighbourhood. 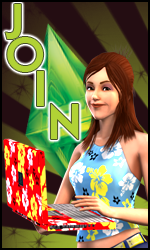 » What expansion packs do you think they should create for the sims 3? » Omg! I have the game! » Are you storymaker, crator...or?